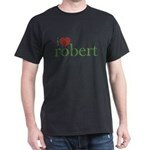 I Heart Robert T-Shirt - If you love the hit ABC television series, Brothers &amp; Sisters, and especially the character Robert McCallister, then this I Heart Robert design is a must have. Makes a great gift too! I Heart Kevin T-Shirt - If you love the hit ABC television series, Brothers &amp; Sisters, and especially the character Kevin Walker, then this I Heart Kevin design is a must have. Makes a great gift too!